Career & Business What is Net Banking & How to Apply? 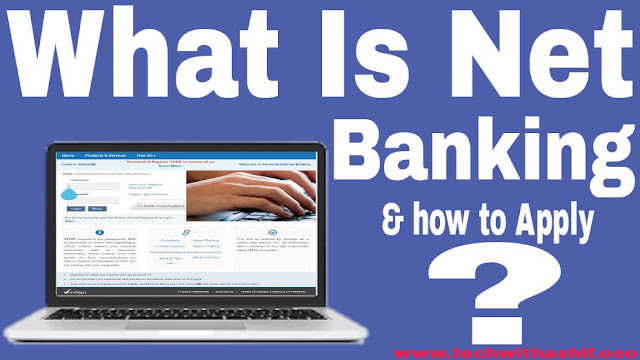 What is net banking or Internet banking? At this time online banking has come as a very big facility. Through online banking, we can easily access our account management, fund transaction, online shopping, etc. with the help of internet sitting in the house. This facility has been extended in India's largest banks like 'State Bank of India'. Therefore, SBI customers can make their account online. To get the facility of online banking, the following procedure is required to be completed. Net banking has become the accepted model of monetary transactions for millions of people in India over the past decade. Today every sector is digitizing, in which the banking sector is not insulated. The Bank is now digitally retaining the services and services of net banking to its customers. Some of the services include online payment of bill, fund transfer, account details etc. through internet. Enjoy all these facilities, you can sit at home, without running in the bank, through net banking. Certainly internet banking availability has made our life easier to serve banking. It is very easy to open and operate the account through online banking. 1. To start Net Banking you will have to go first in that bank's branch. Where your account is open. 2. Then you will have to fill up an application form for registration, after filing this form, the bank will give you an ID and password to log on to the bank's website. It must be used when you log in to the bank's website. 3. The password you get in order to use an online account should be handled well, keeping in mind the security reasons. 4. After logging in, whatever you get the instructions, fill it well by reading it. If you have any problems in starting Net Banking, then you can call the bank's Customer Service Number and ask for the solution by telling your problem. The following documents are required to link the account to Internet baking or Net banking. To join Internet Banking, your account number, CIF number, branch number, ATM card number, registered mobile number, all these documents are necessary. 2 . If you want the facility of internet banking with the help of offline, first of all go to your bank branch and pick up the application form. 3. Fill it well and submit it to the branch. 4. Week of submission of application form - A password will be sent by the bank with the help of an envelope to your registered address within two weeks. 6.Click the Login button on the above website. 7.By clicking on this button a new pop-up window will open where a message will be written in English. The message will be as follows:'Please Ensure the following before logging in'. 8. After reading it properly click on 'continue to login'. 9. After clicking on the above option, another new window will open, where you need to enter the user name and password which was given to you by the bank. 10. After entering it click on the 'Login' button. Once logged in, you can change your user ID and password according to your convenience. 11. 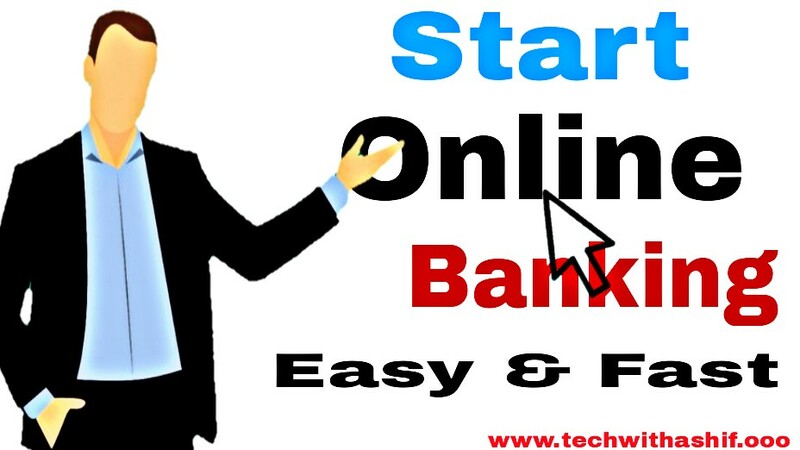 In this way online internet banking service will be started in your account. 1. With this, customers can easily view their account, make payments online. 2. The online account can be used easily, so now you do not need to keep any kind of bill payment receipt in hand, because whenever you make payments online, you can easily do it yourself. You can see the transaction. This feature will be available to you 24 × 7. 3. You can do any work from your bank anytime, just for that you will need internet connection. 4. Apart from this, internet banking also has the advantage, that even when the bank is closed or any kind of leave, you will not have to wait for the bank to open its money transaction. You can do your work easily with speed. 5. This is also the advantage of Net Banking that whenever you withdraw money, your information is immediately posted on your mobile, due to which you can easily monitor your account. 6. The advantage of this is that whenever you feel that money is being misinterpreted or any kind of fraud is happening then you will get the notification immediately and you will be alert before the danger you are facing.At the same time, you will always get the necessary information through the bank, which includes loans, investment options and so on, through which knowing you can lose time, investment or loan according to your need. 7. The use of net banking is beneficial to the customers, the bank also gets a lot of benefit. They do not require more staff to deal with the crowd of customers, which is financially beneficial for the bank. 8. The money saved by the bank can be beneficial to the customer, as the rate of interest of the bank depositor increases, by reducing the rate of loan etc. 9. Most banks do not take any amount to encourage net banking. Also, if you have broken fixed deposits soon, then a lower penalty amount has to be paid. 1. For every person who goes to use net banking for the first time, it is difficult to understand a little bit. Although some banks' website offers Demo to introduce online banking, but not all banks offer such facility, hence the new person who may have to face difficulties in the initial phase. 2. If you do not have an internet connection, then you will not be able to use any online or net banking facility. 3. If we transact money through internet I.e., any kind of transaction, you may be hacked by an unauthorized person. This problem is a big problem for Net Banking. Due to which the consumer may have to suffer huge losses. 4. If you do not keep the password secure then this can also harm you in Net Banking mode. If anybody knows the password you used, So that person can use a password to abuse it and make a huge loss to you. 5. When you need net banking, you can not use net banking at that time when the server is down. At the same time sometimes there is such a problem that when you are transacting money and in the meantime the internet connection speed becomes slow or the server is down, it can also cause you harm. It is very important to keep in mind some important things in online banking. 1. You do not give details of your online banking to anyone. The device from which you are doing Internet banking, such as computers, laptops or mobile, have licensed antivirus, which will keep all your data safe. 2. At the time when internet banking is not required, either logout or internet off. 3. It is better not to use public computer for logging of internet banking. Also, keep changing the password at a regular time. 4. Be sure to check your bank account regularly. What is Net Banking or Internet Banking ? You would have liked this article giving full information about Net Banking or Internet banking. If you also have any tips for safe internet banking, please tell by comment. Your experience can also be helpful for our readers. To help us, share it with your friends on Google+, facebook, twitter and other social platforms and do not forget to subscribe.